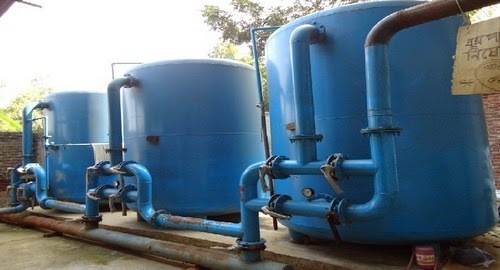 The water treatment plant is a vital part of the dyeing section where the supply water of the dyeing floor is treated and cured for proper dyeing. The water available from different water sources cannot be used directly in boilers. The supply water contains various soluble effluents like dissolved solids, metal compounds and other impurities which can lead to any sort of fabric fault during dyeing the knitted fabrics.